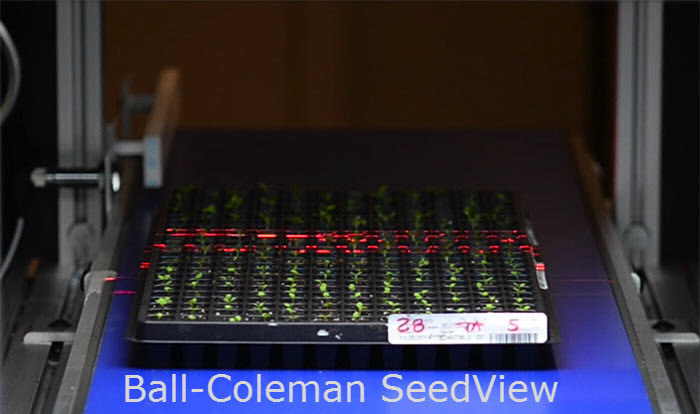 Using advanced hardware and software, the Ball Coleman SeedView systems can measure leaf area, seedling height and chlorophyll levels all at the same time! These data can then be used to identify and classify seedling structures such as radicles, hypocotyls, cotyledons and true leaves. See the Ball-Coleman SeedView page for a full description.